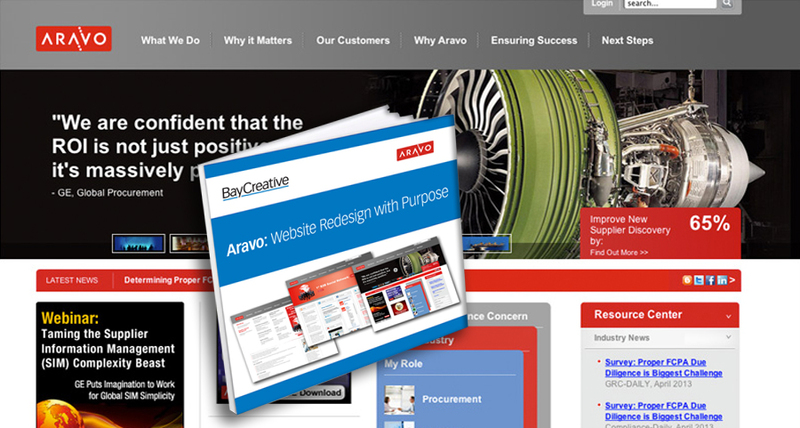 Success Story on "Aravo: a Website Redesign with Purpose"
This short eBook will help you answer the question "how do I upgrade the look of our website to that of an enterprise-class software provider?" I partnered with BayCreative to support our marketing initiatives and redo the Aravo website. The results have amazed our executive team. Their professionalism and excellent website design and development are unmatched from what I have found in the Bay Area for the price."